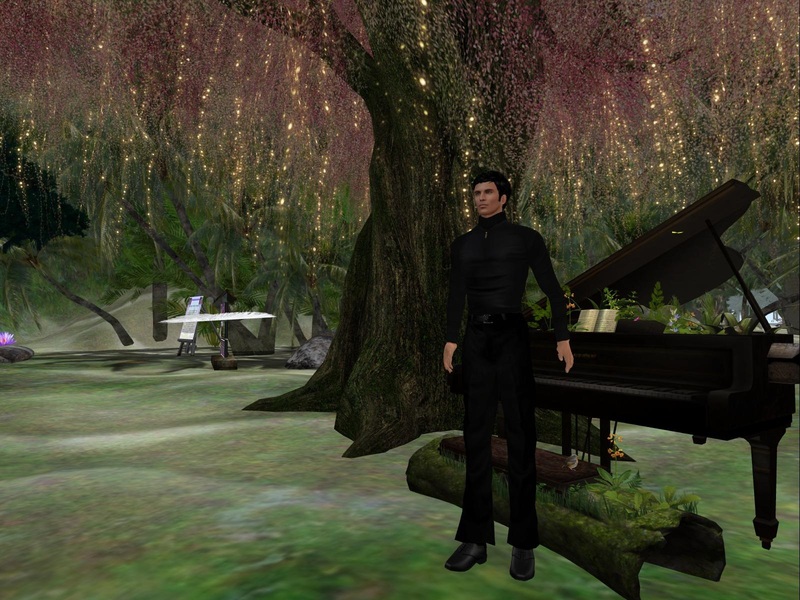 I had the great pleasure in covering Ari (arisia.vita)'s piano recital at 2 pm SLT. It was April 15 and that day, Ari was playing devotional music for Easter. Ari wanted to make sure that I post his standard disclosure. Ari standard disclosure is, "I have long dreamed of using the piano to connect with others and share my feelings with them. Although I can't play in real life, I *can* select both the pieces and performance styles which most closely mirror what I would play if I could. And virtual realities like Second Life give me the chance to play for you and breathe life into my dreams." "I like to.... Live simply, Love generously, Care deeply, Speak kindly." said Ari. There was a talk at Ari's piano recital about me covering his piano recital. Ari told me that he'd rather be friends than to be famous. 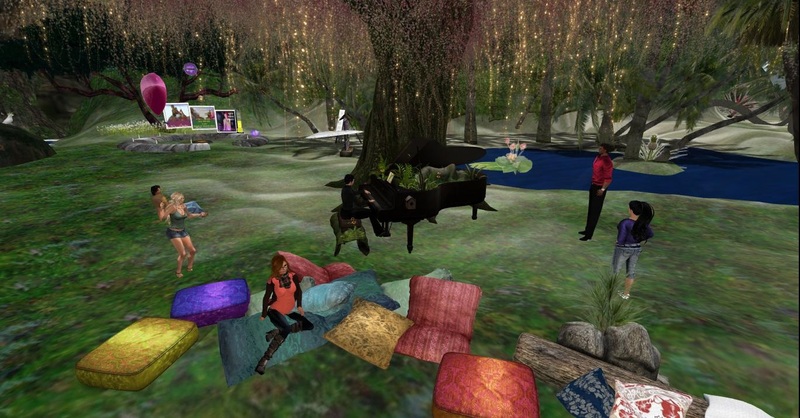 I asked him about being a big brother, as I see him as my big brother on Second Life, and he said, "Sure." As Ari plays the piano, Jonquil Gal (esthezia.andel) said that it is her favorite tune and Ari said that's why he plays it. "Very peaceful ... helps to unwind the stress." said Jonquil Gal (esthezia.andel). Lyle (lyle.lindman) nodded, "How sweet the sound ..." said Jonquil Gal (esthezia.andel). "I love Ari's piano music. It puts my mind and heart at ease." said Jonquil, "And I love sharing it in a group with friends here in Perfect Paradise." "And watching Jonquil dance does the same for me." said Ari. "Ari's music is like a magic journey into a beautiful wonderland where peace, bliss and kindness is everywhere." said Lyle. "I hope more people will read your article and come to hear Ari play." said Jonquil. "And see Jonquil dance, and hear Lyle's quiet philosophy." said Ari. "And all is well with my soul now, hearing Ari play." said Yavanna. "'Music washes away from the soul the dust of everyday life.' - Berthold Auerbach." quoted Ari. "I need thee every hour of Ari most beautiful piano playing." said Yavanna Llanfair. Yavanna wanted to know if Ari had ever heard of the pianist, Jonathan Black, and Ari responded he has now. "This is a general question, would you say that Ari's music is also a healing music?" I asked. "Oh yes, definitely." said Lyle (lyle.lindman). "Yes definitely, healing and soothing to the soul." said Jonquil. When Ari was asked if he accepts tips, he had this to say - "Only smiles. They are the only tips I accept." "Your music is a gift. thank you for sharing it with us Ari." said Jonquil. "Thank you, Ari. i grew up with these songs as a youth." said sldreammaker. "It brought tears to my eyes."